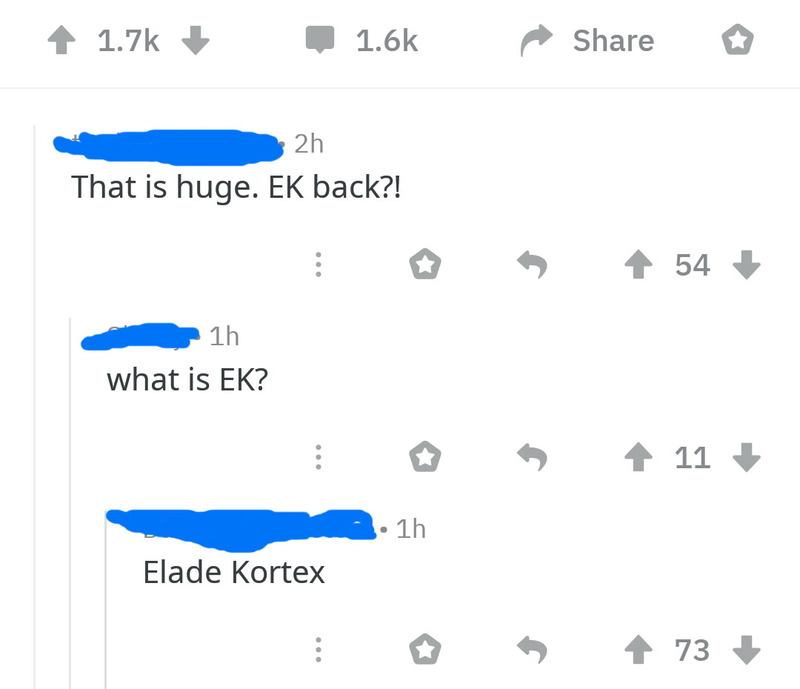 What is EK? Elade Kortex! Let's make meme become true! So this is an “EK” guide which focus on clear speed with some IIQ, if you focus on pure Bossing or even do 95%+ content, this guide may not be that helpful. Just a simple skill dealing Phys, Projectile and Spell damage. The projectile range itself isn't that far, so scaling Projectile speed and Projectile mechanics(Pierce/Fork/Chain) are both important for improving clearing speed. Even it's damage have been increase a bit in 3.6 version, the damage and mechanic itself aren't good enough compare to other Up-tier phys spells. range. In 3.1, the King Impulsa's birth, the EK CS build became a thing even in HC league. Unfortunately, With the stupid beast and the Syndicate lag-generators go into the core game, even CS build needs some boss-killing tactics. But EK needS to invest some mechanics to improve clearing, so if using EK itself for bossing, your CS rate will be slow down, balancing CS and encounters might be a big problem. So, this is why the Elade Kortex exist! In 3.6, even Blade Vortex's damage has been nerfed, but with the new support gem Unleash's help, you gain high(full with enough gem level) stack of BV and available to cast Ethereal Knife in a period. Even BV is not my main link(link in my Helmet), it's enough for facing Syndicates and stupid beasts. BV has a Vaal version in 3.3, Vaal BV is also a good skill for out-screen mob killing, remind that Vaal skill itself can't be support by unleash. You have less ES for EBMOM right? Yup is a bit less ,but thanks to the Ghost Dance's rework, you gain tons of ES when been hit, so non-chaos DOT damage might be a problem due to it can bypass your Ghost Dance recovery, try avoiding the ground DOT effect and using flasks to immune burning. Yes, but with IIQ gear, I give up crit. on the left-top side of Shadow passive's start. Sure you can, but the same reason, IIQ gear gives no ES. 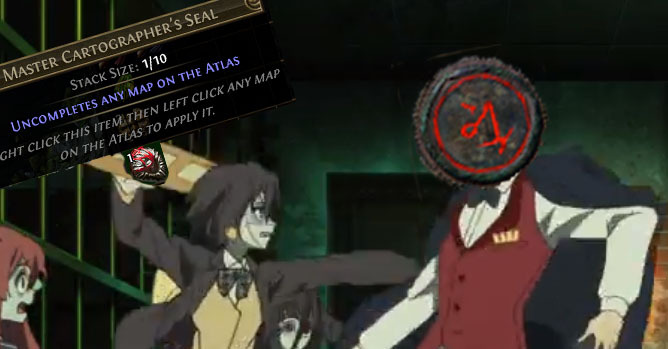 If MS is not your problem, Occultist. I don't like Trickster, its TOO meta! Pathfinder, Inquisitor, Elementalist or even Occultist also works, depends on the style you like. Have tried building Deadeye but have trouble with survival. Pick out all the phys passives and play IIQWO. The Tempest binding is a basic mini-6link with enough life and a bit res, if you can't afford shaper/elder ones with enough life/res, try this. PS:AOE Gem +1 craft is a Prefix. Yup, not The Eternity Shroud and QOTF. QOTF will slow you down without huge evasion stack, Fox fortune gives 10% MS and some decent abilities, so it's my last choice. For links, choose Fork instead of others due to Fork have a potential to kill off-screen, using Pierce or Chain is no problem if you prefer each of them. 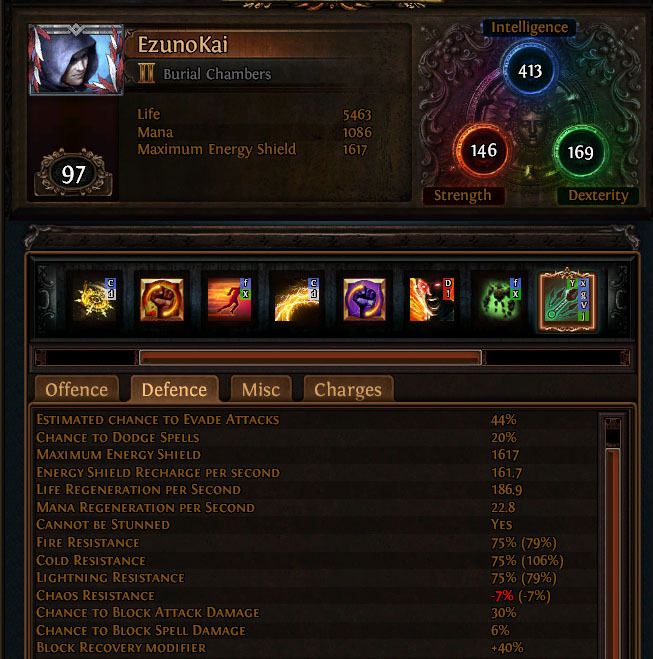 If you don't like Bisco's collar or you might lack of defence, i85 Shaper base amulet wtih 10% IIQ+Multicraft is a choice, or even a simple rare amulet is ok. Most important is the explode base. First to say: This is not the BEST craft version for all build like this, just craft what you need or run POB for the best answer. Sword/Maces/Claw do the same as Axe, Wand/Sceptre/Dagger if you need an ultra-mega-meta craft version. 2. Pray for explode mod. 3. Aetheric + Prismatic Fossil. The goal is 40% More in socket+Elemental damage T1, Two prefix and the suffix will usually be res/attribute , won't be that hard due to Sword/Axe/Mace have no caster mods itself. Add Bound Fossil is ok if your goal is Minion+Elemental+Socket 40 more prefix. Try to annul one suffix if 3 suffix>>Lock prefix>>Scour. 5. Multi craft anything good for you. Esh's Mirror has been used in most CS builds, even this one. Decent (E)Hp + awesome kill effect, No one hates it. For sustaining res and life, convertion is a prefix. Convertion craft + Wrath's Watcher's eye convertion + P2L = 100% Convertion. If your Watcher's Eye get some decent effect of other auras, you can change the aura setup. Corroupted blood vaal makes different against stupid beasts. Other jewels I focus on Life and Chaos res to counter Atzoatl flower pot and some Syndicate encounters. Other explicit for rare jewel: Damage/Spell damage/Minion damage/Cast speed/Crit multi if you go on crit/Onslaught on kill. If you have no corrupted blood immune, replace the burning ones. Burning immune works well against THICC-map modified Synthesis rares. You always mentiond IIQ right? And thanks for watching, welcome for questions. no need for explosion base. just get herald of ash. for damage output shaper based weapons are much better, daggers, scepters, flails. i play with chain and gloomfang, for the clear.